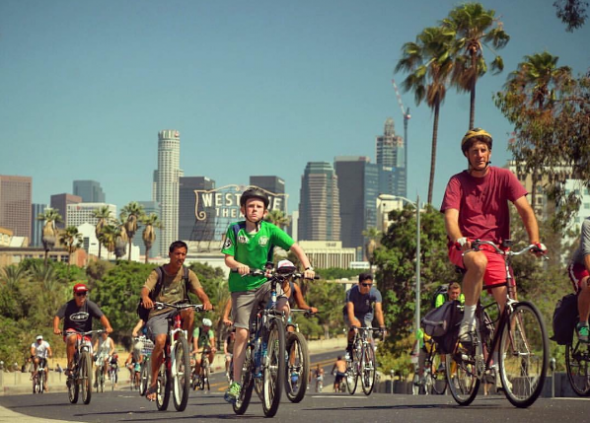 CicLAvia is set — enjoy another car-free day Sunday, Oct. 16! Cruise through East L.A., Little Tokyo, Chinatown, DTLA and MacArthur Park on this year’s Heart of L.A. route. No bike? No worries! Metro Bike Share is available to those who don’t have a bike of their own — here‘s the map of bike share stations. You can buy a pass before the event or use your credit card to check out a bike at a kiosk, $3.50 buys you 30 minutes. Streets will be off-limits to cars and open for cyclists, pedestrians, runners and skaters from 9 a.m. to 4 p.m. To avoid delays due to street closures, Go Metro to any of the nine Metro Rail stations along the event route. Metro will be running enhanced rail service with longer train cars to accommodate event-goers. Metro customers should expect bus detours and delays during the day of the event. Impacted Metro Bus lines include: 14/37, 16, 18, 20, 28, 30, 33, 40, 45, 51/52, 53, 55, 60, 62, 68, 70, 71, 76, 78/79, 83, 92, 96, 460, 487, 603, 720, 733, 745 and the Metro Silver Line. A quick reminder for those looking to take Metrolink in to attend: there will be major service interruptions this weekend. Please plan accordingly! Tagged as: CicLAvia, Go Metro, Heart of L.A. The title of this post really should be “Downtown LA bus service disruption Alert”. 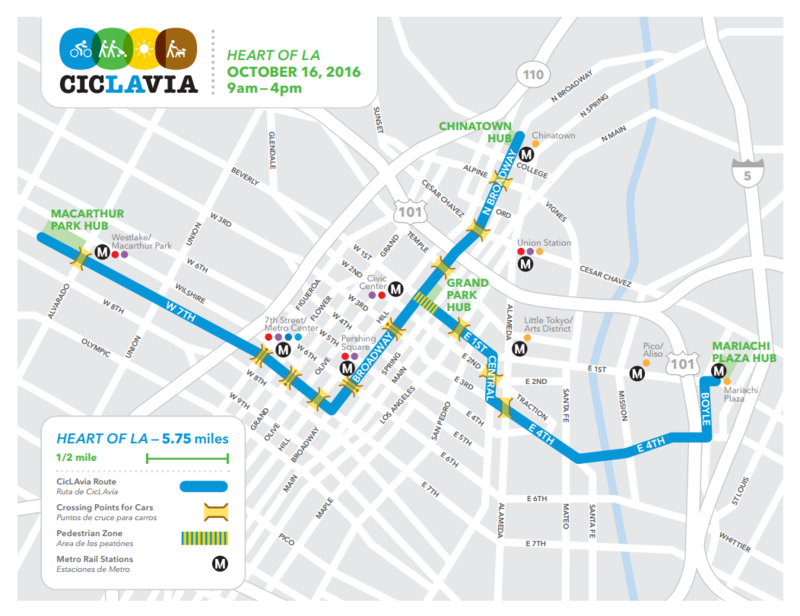 These CicLAVia events are no fun for us DTLA bus riders. How about routing the bike riders along Washington Blvd rather than 7th St.?